Today, Kellen, Tim and I have been geeking out over Microsoft’s press conference to start the Electronic Entertainment Expo, otherwise known as E3. 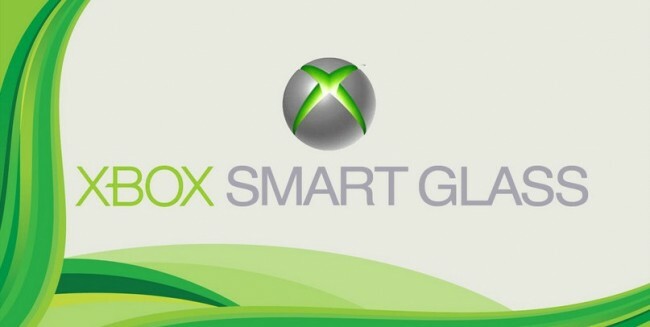 Near the end of their presser, while listing off all the new things coming to the Xbox 360 to keep you centered around it, they showed off “Smart Glass,” a feature they hope to implement into their tablets and phones (albeit WP7 devices) that I think is the way that games should be done on mobile devices. At it’s core, Smart Glass is a feature that allows mobile devices to be linked with your TV and Xbox so that when you are watching content on either device, the other knows. For example, you’re watching a movie on your tablet and you switch to your TV. Your tablet will soon give you a list of information on the movie, cast and characters and bios, while you watch the movie. They then moved on to show how it could be used for gaming. In Madden 13, before the play happens you can pick up your tablet and draw out the play with your finger before setting it down and executing it. In the clip for Halo 4 they showed Master Chief unlocking a piece of intel that could be read on the tablet. With a few exceptions, I find gaming on tablets very lackluster and not very fun. Trying to shoehorn an old way of gaming (on-screen controls) into a new medium is not a good plan of attack, and something needs to change. The next Nintendo console, the Wii U, has a controller that is a tablet basically. The possibilities grow as the games get more in-depth. If a major game developer puts time and money into the idea of a tablet alongside the console, great things can happen. That being said, it’s probably going to take a lot of time and effort to make things seamless to the point of releasing. The question is, will we see any of these for Android tablets? For Xbox probably not. Microsoft will likely do everything in their power to make sure that an Android tablet never talks to a Microsoft product in any way, while pushing their upcoming Windows 8 tablets as much as possible. We are hearing rumors that it was confirmed for iOS and Android but given Microsoft’s overall tone with Android lately it’s questionable we will ever see it. Sony however has a console, the Playstation 3, and their own Android tablets, the Tablet S and P. Maybe that connection will allow Android to have some future in this kind of integration. What do you think? Would you like to use your tablet to increase the experience of your console game, or have it be the game itself?